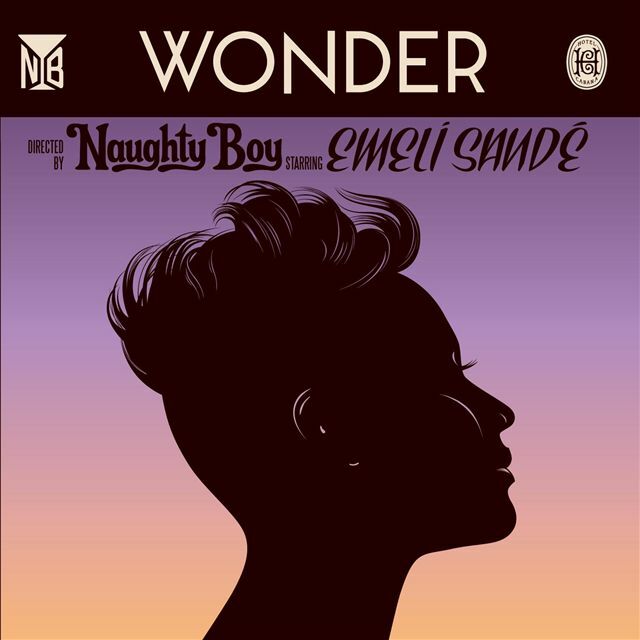 • Eagle-eyed Aussie Emeli Sandé fans will have no doubt seen copies of the new deluxe edition of ‘Our Version Of Events’ sneaking their way into retail stores this week. The deluxe repackaging was originally due to drop at retail late next month, but its release has been brought forward to co-incide with the servicing of the new single ‘Wonder’ (pictured) to local radio this week. • If you’d love a rundown of all the other tracks serviced to media across the course of this week, best you head over to our FACEBOOK page, where we posted a comprehensive list on Thursday this week. • Look out! British girl band Little Mix have arrived on our shores for their week-long visit to promote their hit single ‘Wings’ and their forthcoming album ‘DNA’. The girls are expected to spend time in both Sydney and Melbourne during their visit, which will include a performance of ‘Wings’ on ‘The X Factor’ this Tuesday night and on ‘Sunrise’ on Wednesday morning. The single has been placed inside the iTunes top 20 this week – a position that will no doubt improve on the back of their visit. 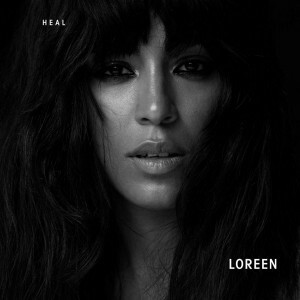 • Swede pop lovers will no doubt be celebrating the local release (albeit in digital format only) of ‘Heal’ – the long-awaited debut album from Eurovision winner Loreen. It features the winning Eurovision single ‘Euphoria’ and eleven other glittering pop tracks, including the popstastic lead single ‘My Heart Is Refusing Me’. Thanks for looking after us, Warner! • Brisbane four piece Millions will release their new four track EP ‘Cruel’ in the middle of next month and are headed out on the road to celebrate. They’ll play shows in Sydney, Melbourne, Brisbane and Adelaide, kicking off at Oh Hello! in their hometown on Thursday November 15. Check HERE for all the guff. • The line-up was announced this week for next year’s ‘Golden Plains’ festival. To be held at the Meredith Supernatural Ampitheatre on Victoria’s Queen’s Birthday weekend in March, the seventh edition of the event will feature appearances by the likes of Cat Power, Dinosaur Jr, Tallest Man On Earth and The Jon Spencer Blues Explosion. Tickets are available via a ballot HERE. 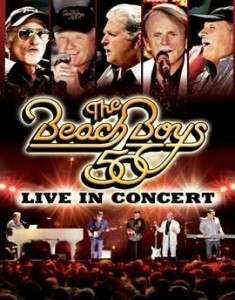 • Universal Music will release a brand new Beach Boys live DVD late next month. Off the back of their latest album ‘That’s Why God Made The Radio’, the gents embarked on their 50th Anniversary tour – a tour that was captured on film for the release of the ‘Live In Concert’ DVD to celebrate the milestone. It’s out locally on Friday November 23. • UK outfit Foals have announced a Sydney sideshow while the band is in town for the Big Day Out. 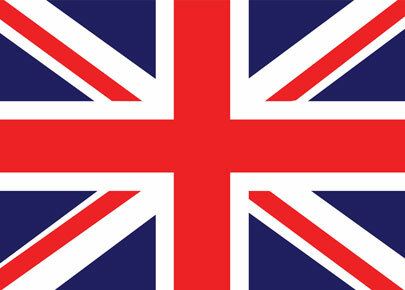 They’ll play the Oxford Art Factory on Wednesday January 23, tickets for which are on sale this Monday. • If you’d like to check out this year’s Jagermeister Independent Music Awards, keep your eyes peeled on Channel [V], where a half hour special on the event is set to be broadcast this Thursday night. The special will feature performances from the night, along with the handing out of the major gongs. It airs from 8:30pm this Thursday. • It’s been taking Australia’s charts by storm already, so it stands to reason that they’d be loving it over in the UK… Calvin Harris and Florence Welch have themselves a No.1 hit on their hands with ‘Sweet Nothing’, displacing Swedish House Mafia after just one week. Lawson continues the fine tradition of top ten debuts with their latest single ‘Standing In The Dark’, which enters at No.6. Taylor Swift and Maroon 5 enter the top ten. The new Pet Shop Boys single ‘Leaving’ is in at No.44. • His star has risen rather quickly in the UK and though we’ve not heard much about him in Australia just yet, he’s already shining. Jake Bugg’s debut self-titled album has smashed the No.1 spot on this week’s UK albums chart, edging out Mumford & Sons and beating off a respectable No.3 debut for Leona Lewis’ new album ‘Glassheart’. The repackage of Rebecca Ferguson’s album sees it debut at No.5, with the new Bat For Lashes album debuting immediately behind. Art Garfunkel’s ‘The Singer’ is the other top ten debut for the week – in at No.10. • Maroon 5 maintains their stranglehold on the US singles chart this week with ‘One More Night’ staying at No.1 for just one more week. But Psy’s still gaining. And how much longer will he be held at bay? Fun.’s single ‘Some Nights’ rises to No.3 with Ke$ha’s ‘Die Young’ now top five, Rihanna and Ne-Yo now both top ten. The highest debut for the week comes from Taylor Swift’s ‘State Of Grace’ at No.13, Bruno Mars’ new single is in a hurry – so too Flo Rida’s ‘I Cry’, which is up from No.51 to No.24. • Over on the Billboard 200 albums chart, meantime, Jason Aldean’s new album ‘Night Train’ slams into the No.1 position on debut, dropping Mumford & Sons to No.2. Brandy scores herself a highly respectable debut at No.3 with her new album ‘Two Eleven’, with further top ten debuts courtesy of Scotty McCreery, Jamey Johnson and Dethklok (Nos.4, 5 and 10 respectively). • Now with the action on the UK and US charts taken care of, you’ll no doubt be wanting to know what’s happening here at home on the ARIA Top 100 charts. Best that you head back here tomorrow morning for our regular Chart Watch segment – live on the site at 9am AEDT.